Zoomi had the most liked content! Hello!! looking wonderful!! I’d possibly suggest that the raised embossing of the hip wrap is brought all the way to the edges; majority of the comics have a trim to the edges and then the pattern. have you thought much about paints, or will you be looking at the bodysuit option? Comm-Tower Spotlights: January 2018 We’re pleased to introduce you to The Flagship Eclipse member DS-66682; otherwise known as JD! JD is from Redback Garrison, and is our TFE Member in the spotlight for this month’s Newsletter! He took some time to have a chat with Deb / Zoomi, our TFE HR Officer and Comm-Tower Administrator. Zoomi: Thanks for your time JD! First of all, how did you find our about the 501st Legion / The Flagship Eclipse? JD: Going to conventions, I would always see the 501st fundraising for various charities, I wanted to become a part of something greater than myself and give back to the community. The fact I can look as awesome as Savage Opress is a big plus. Zoomi: So was Savage Opress your first Legion costume? JD: No, my first was a TIE Reserve Pilot. Good entry level costume that can be progressed on to make other costumes. I then moved to a Shadow Guard and then back to a TIE while i built Savage. Zoomi: Savage Opress ... JD I have to say, it truly is a spectacular costume. How long did it take to build? JD: From research through to completion, roughly a year. Wanted to make it look as authentic and threatening as possible. If youre going to be a Dathomirian, you gotta look the part. Working with TK Supply Battalion on all the soft parts was one of the best, but very gruelling processes to the costume Zoomi: How did you find the "New to the Legion" NTTL process for approval? JD: Its been a bit different for each costume I've done. Im privledged to be a part of a garrison that helps each other and strives for excellence in our costumes. I try to keep everything as accurate to the CRLs as possible when I'm building, but with Savage it was difficult as there are no images for the costume (at the moment). I talked a lot with Darth Valkyria throughout the whole build, constantly sending photos and asking for advice where applicable. I wanted to do it justice and I think all involved in the creation of it worked hard to help me achieve that goal. Zoomi: How did members of Redback Garrison support you during the build? JD: Constant encouragement and advice on what would be best to use for armour. TK Supply Battalion for the seamstress work on all the soft parts. Advice from our garrison Maul, Pecklez on all things make-up and prosthetics. Just a great support network that could assist in any way they could. I think a lot of them were as excited to see the end result as I was. Zoomi: How did you tackle the make-up and prosthetics? JD: A LOT of advice from Pecklez as well as professional advice from a make-up artist as to what products are best to use. For prosthetics, i bought a set of Savage horns (only ones i know that are available to buy pre-made) from Amber Brite Cosplay on Etsy. From there, it was a matter of trial and error and some fun nights of painting horns. Zoomi: Brilliant! Do you think you would like to tackle any other TFE characters in the future? 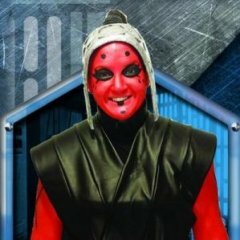 JD: Ive always loved Darth Revan. Id like to do the KOTOR version. Hopefully, ill stop getting distracted by other costumes. It seems everytime i start planning the build out, an opportunity comes around that i cant pass up. Zoomi: What event did you debut Savage Opress at? JD: Stormtrooper Weekend at Dreamworld. We had troopers from all over Australia and a few internationals attend. It was the last time that we had the chance to troop there so i wanted to make it special. He was VERY well received. Zoomi: What has been your favourite memory to date in this costume? JD: Dreamworld is the only troop I've done in him so far. There was a lot of memorable moments. Friendships forged, children scared, the numerous selfies, being called a 'Shiny Maul' (Pokemon reference). And of course the infamous 'coat rack' incident. Im always one to entertain the troops and keep them in good spirits. Zoomi: Any tips or advice you would give anyone looking to make this costume? JD: There is no cheap way to do this build. 'Leather like' material isnt going to cut it, nor is 'cotton'. Always go for leather and raw silk. Research the hell out of it. And if in doubt, ask me questions. Zoomi: Anything else you would like to add about you, your costume, your time in the Legion or TFE Detachment? JD: Waterbased face paint is the best product ever invented!! Always reach out to senior members for advice no matter how stupid you think the question is. And above all else, keep the passion for the hobby alive. Do the small troops that will make a difference to even one person, even when fundraising isnt involved. Take payment in high-fives and smiles, for they are what drives me to troop. Zoomi: Thank you so much for taking the time to talk with me about your outstanding costume! You should be super proud of the work that has gone into this, you look absolutely outstanding. JD: Thanks! It was a great build. Comm-Tower Spotlights: November 2018 We’re pleased to introduce you to The Flagship Eclipse member SL-10181; otherwise known as Peggy! Peggy is from Canada: Badlands Garrison, and is our TFE Member in the spotlight for this month’s Newsletter! She took some time to have a chat with Deb / Zoomi, our TFE HR Officer and Comm-Tower Administrator. Zoomi: Thank you for your time Peggy! Where did your Star Wars costuming journey begin? Peggy: Great question - my costuming journey started long before Star Wars - I actually have a degree in Theatre Production, majoring in costuming. I learned to use a sewing machine to make my own Halloween costume when I was 10 years old, and haven't stopped since! I have always been involved in volunteering in my community, as well, so finding a hobby where I could dress up and make a difference at the same time was a perfect fit! I remember first seeing a 501st booth at a small local convention in my area about 12 or 13 years ago; at the time, I was extremely shy and the only costumes they had on display were stormtroopers; I didn’t actually talk to anyone to learn that I could do something besides hard armor. I found my way back to the 501st four years ago with my first costume, Visas Marr – she’s still one of my favourite to wear! Zoomi: That's really awesome! So Visas Marr was your first costume approved in the Legion? How many others have you got approved at the moment? Peggy: She was! I have great stories from trooping has her over the years. I also have a Jawa and a female tusken Raider with baby of course. My other costumes are all either for the Rebel Legion, the Mercs or are in progress! Zoomi: Why did you choose Visas Marr? Peggy: I chose her for a couple of reasons. First, she was an unarmored character and I wanted to stick with what I was comfortable doing for my first costume. Seconds, she's one of the few characters that I found who was fully covered. Third she looks really amazing and I like the challenge of having to figure out her veil and how to see through it Zoomi: All fair points! Was the veil the most challenging part in the end to make? Peggy: It was certainly the most finicky part but not that challenging. Sourcing the stencils for the overdress and finding the right leather look vinyl was actually the most difficult thing. Zoomi: How long did the costume take to make in the end? Peggy: From start to finish the first version took about 3 months. I then remade the overdress in a better vinyl material which took an additional couple of weeks to fully finish. That's the version I'm still wearing. Zoomi: Given your background in costume making; what advice would you offer a beginner looking to tackle a soft-part costume? Peggy: As a beginner, I would say the most important thing is to do your research. Look at the sources, look at the crl's, talk to people who have made the costume before. They'll have made mistakes that you don't have to now. Also, if you can find a pattern that only needs minor alterations, use it. My over dress and under dress are based off the same pattern with just an alteration to the neckline. Twice the results with half the work. Zoomi: Do you recall what event you debuted your costume at? Peggy: My first event was a small community Carnival in Calgary Alberta. There were maybe a few hundred people there but we had a really great time. At that event, just as we were going to leave, I passed a young lady in a wheelchair who had some fairly significant disabilities. She was nonverbal and had minimal motor skill coordination. I stopped and talked with her and helped her to hold my lightsaber and her caregiver told me that it was the first time she seen her engaged and smiling in several days. Thank goodness for my veil because I was a little teary-eyed! Zoomi: Oh my! What a beautiful moment for a first troop!! Peggy: It really was. I have pictures of it. Every once in awhile I'll go back and look at it and remind myself how lucky I am to do what we do Zoomi: If you could costume any other TFE character, who would it be and why? Peggy: Tough question! Probably Eleena Daru. Zoomi: Ooh! Good choice! Have you had the opportunity over the years to troop with other Legion members from the Expanded Universe / TFE? Peggy: Yes my Garrison is extremely lucky. We have several Darth Nihilus', a Darth Talon, a few Darth Revan's, a Ventriss, and a Sith acolyte. You're almost guaranteed to have at least one TFE character at a troop around here. Zoomi: Hell yes!! That's fantastic! As you're duel Legion approved - both Rebel Legion and 501st Legion; do you have any preference between bad guys and good guys? Peggy: I have no preference. I enjoyed both. Most members in my Garrison are also dual or triple members. And all of my 501st costumes are technically approvable in both legions. Zoomi: That's fantastic! I can imagine that makes for wonderful events having so many people not phased about bad guy / good guy roles. Peggy: Yeah we try not to let stuff like that get in the way of tripping and having fun and doing good things. In fact there's so much crossover that we tend to just have a joint booth that any events we go to. 90% of our events are open to both the 501st and rebel Legion and most of those are also open to the Mando Mercs. Zoomi: Do you have any current projects in the Legion? Peggy: Not for myself at the moment but I have a few in the planning and drafting stages for my fiance. An officer which will then become Count Dooku, and a Jedi. Zoomi: Anything else you would like to add about you, your costume, your time in the Legion or TFE Detachment? Peggy: I am so proud of the work we do in the Legions. I have made some amazing friends, helped amazing causes and had a blast. I have met so many wonderful people from around the world. I truly appreciate the TFE detachment - the support and knowledge its members give are invaluable. Zoomi: I couldn't agree with you more. Thank you so much for your time Peggy! Peggy: Thanks Debs! If you are interested in being interviewed for a future issue, you can email Zoomi at Zoomi.scg@gmail.com. Comm-Tower Spotlights: October 2018 We’re pleased to introduce you to The Flagship Eclipse member SL-11479; otherwise known as Scott / jabbathenut! Scott is our TFE Member in the spotlight for this month’s Newsletter! He took some time to have a chat with Deb / Zoomi, our TFE HR Officer and Comm-Tower Administrator. Zoomi: Thanks for your time Scott! First of all, how did you find our about the 501st Legion / The Flagship Eclipse? Scott: Friend of mine that went to DragonCon told me about the Legion in the early 2000’s. It took me till two years ago to finally be able to join. After my first costume I was looking through the other detachments for my next costume and saw I could do Nihilus. I was sold. Zoomi: What was it about Nihilus that caught your eye? Scott: The mask, that thing is haunting, and I thought it looked awesome. Zoomi: It definitely is! Did you look into the back-story at all? Scott: I did, and after I found out just how crazy strong with the Dark Side he was I was even more stoked to start working on it. Zoomi: What was the most challenging part of the costume to make or source? Scott: The light saber actually, I still haven’t found his actual saber, checked all over and never found anyone that made his. The costume itself I got from Wicked Armor. Zoomi: If you could costume any other character from TFE, who would it be and why? Scott: Starkiller Dark Apprentice. When I was looking at possible costumes I’d come across a picture of that costume and thought that would be such a fun costume to do. However at the time there wasn’t a complete CRL for it and I was to new to want to tackle that can of worms. But since the CRL is out now it’s back on my list. Along with a few others. Like a lot of us I fully admit I’ve got a costume problem. Zoomi: Impressive choice! I hope you get into it! Scott: I average one costume per year. Zoomi: How long have you been a member for now? Scott: 3 years. Zoomi: What’s been a stand out memory while trooping as Nihilus? Scott: We were doing the CHOA Christmas parade and we all get onto the subway car which is full. As Troopers file on people of course are giving strange looks, then I step on and kids are loosing their minds except for one guy who high fives me and says “never thought I’d see Darth Nihilus on the subway” Zoomi: What encouragement or advice would you give to any prospective members looking to make this costume? Scott: Do your research and don’t rush into it. I definitely recommend Wicked Armor, they do amazing work and are well priced. Reach out to others that have made Nihilus on the Forums, we are all here to help. Zoomi: And lastly; anything else you would like to add about you, your costume, your time in the Legion or TFE Detachment? Scott: As far as anything to add. Just that I love being a part of the Legion and have met some great people doing this. And that the best thing about this costume is the feeling I get when someone comes up to me and recognizes the character and is so excited to see me. Zoomi: Yay! Thank you so much for participating! Scott: Thank you for letting be involved. We’re pleased to introduce you to The Flagship Eclipse member SL-10126; otherwise known as Brian / Amarok! Brian is our TFE Member in the spotlight for this month’s Newsletter! He took some time to have a chat with Deb / Zoomi, our TFE HR Officer and Comm-Tower Administrator. Zoomi: Thanks for taking the time to chat with me Brian. To kick things off, what costume(s) do you have within the 501st Legion? Amarok: Darth Revan and Republic Commando Scorch. Zoomi: Was Revan your first costume? Amarok: It was. It went through a few upgrades before it got to what it is today. Zoomi: No doubt - I think all TFE costumes have a few upgrades over time. Why did you choose Revan? Amarok: Knights of the Old Republic is my favorite video game of all time. Before it turned into the MMO Star Wars the Old Republic, I used to play Knights of the Old Republic constantly, haha. My friends couldn't believe how I never got sick of it. I think it's a natural progression that we become our childhood heroes. I loved Revan's story, to me his story was better then any movie in the Star Wars universe. Zoomi: Had you done any costuming previous to making Darth Revan? Amarok: I always loved dressing up for Halloween, and eventually started going to a few cons. But they were few and far between. That's one of the many reasons I love the 501st, because there are so many events throughout the year to attend. Even before I joined the 501st I did have a homemade version of the Revan costume that never would have made 501st approval and that looking back I can't believe I wore, haha. Zoomi: We all have to start somewhere! Amarok: True! Zoomi: What did you find the most challenging about making Revan? Amarok: Well, luckily Wicked Armor, the version I have now, pretty much sends a completed costume. I just had to modify it to withstand a troop. The costume pretty much comes with the idea that somebody is going to stand in one spot all day and not move. I had to add snaps, strapping velcro and more strapping to make it withstand going to 501st events. Then wait to see what broke on a troop and fix it. Since then I've taken the leap and built my Republic Commando, but Revan was a great first costume and is still my main one. Zoomi: What event did you debut this costume at? Amarok: 11/21/15 IL Elk Grove Village - Paw Wars Fundraiser for SCCR Zoomi: Holy moly that looks a bit chilly!! Amarok: It was an epic picture for my first event and yes it snowed a lot . The event was indoors but we did head out to take this pic. You can see an older version of my Revan costume in it. Zoomi: What is your happiest memory in costume? Amarok: That's a tough one, as I have many. But it has to be ones that I can experience with my family. Like the one in this picture taken a year after I joined the 501st at the same event as my debut in the snowy pic. In it is one of my friends as Darth Nihilus, my mom as Darth Traya, and my wife as Juno Eclipse. I got all three to join after I did Zoomi: That's so epic you've been recruiting friends and family to the Legion! Any tips or advice you would give anyone looking to make this costume? Amarok: It's a fun costume with a menacing look. Luckily Wicked Armor takes care of the making process for the most part. Giving out trading cards will help smaller kids warm up to you, but vision in this costume isn't the greatest since it doesn't have a T-visor that some other 501st costumes have that allows you to see down.Also, be prepared to be called Kylo Ren a lot! If you love the character like I do though, it's all worth it. Even if you can't afford the Wicked Armor you can build your own if you are patient enough. Zoomi: If you could costume any other TFE character- who would it be? Amarok: I'm always drawn to the video game characters, if you can't tell by my Revan and my Scorch, so my next would be a version of Starkiller. Zoomi: Anything else you would like to add about you, your costume, your time in the Legion or TFE Detachment? Amarok: I've dedicated a Facebook page to my 501st adventures if anyone wants to check it out. It's been so much fun these last few years and I look forward to many years to come. I hope one day to go to troops with my daughters as members of the legion. Zoomi: Thanks for taking the time to have a chat with me Brian! Amarok: You're welcome! Comm-Tower Spotlights: July 2018 We’re pleased to introduce you to The Flagship Eclipse member SL-10413; otherwise known as Heidi Sørensen/ Heavy! Heidi is our TFE Member in the spotlight for this month’s Newsletter! She took some time to have a chat with Deb / Zoomi, our TFE HR Officer and Comm-Tower Administrator. Zoomi: Thanks for taking the time to chat with me Heidi. To start off with, what TFE Detachment Costume do you have? Heidi: Visas Marr, Unseen, Unheard Zoomi: Why did you choose this character? Heidi: I really like the EU Universe and the story of Visas Marr, plus I wanted to make a costume that also could give membership for the Rebel Legion. This way I got 2 of my wishes Zoomi: How long did it take you to complete your costume? Heidi: I took me around a half year to make this costume. I had a fellow TFE sister to make the outerdress and veil, since I wasn´t that good at sewing back in 2013 - but the inner-dress, belt, gloves and the golden pattern on the inner-dress and veil is made by me. Zoomi: What event did you debut this costume at? Heidi: That was on the 4th of January 2014 at Odense University Hospital, where my garrison (Danish Garrison) was doing a yearly visit at the childrens ward. Zoomi: What is your happiest memory in costume? Heidi: Happiest memory is at the Sci-Fi convention in Randers 2014, where a little boy was very fascinated by my Sith holocron - we were totally in our own World for a couple of minutes. Zoomi: What is your favourite thing about this costume? Heidi: The fact that people are wondering 'who I can see' and that it is a very comfy costume to wear. Because of my bad back I can´t wear armour anymore, so these "fabric" costumes are perfect plus they look great and are fun to make Zoomi: Any tips or advice you would give anyone looking to make this costume? Heidi: Well, I think it is very important, that people joins our forum and looks at the already great WIP threads that other members have put up. This way they can get a lot of guides to make the parts - especially the veil and outer-dress can be a pain without guidance. The CRL is also important to follow - so I always tells people to look at that and to make a WIP thread themselves so they can share their progress and ask for advices. Zoomi: If you could costume any other TFE character- who would it be? Heidi: I've already made Darth Traya - sadly I had to sell it, but she was also one of my favorites from the EU. 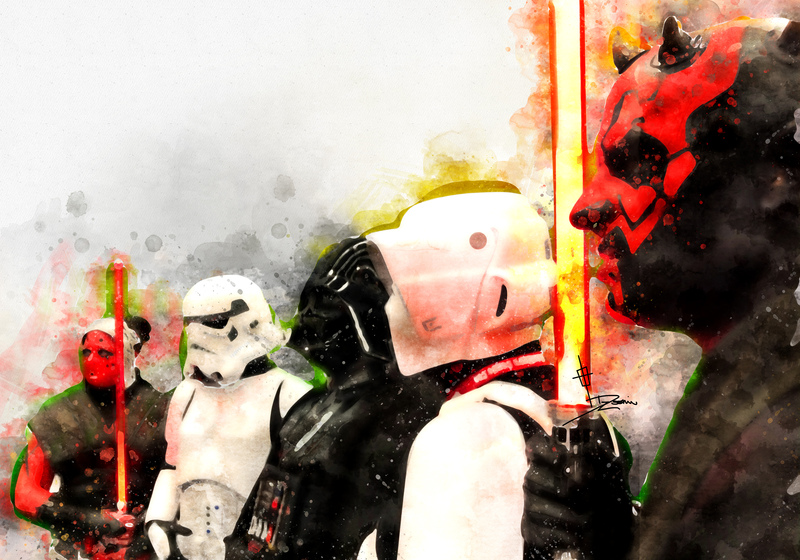 I've made a couple of Darth Nihilus for other members and thinking about doing one for me also. I like his cape LOL. Zoomi: Anything else you would like to add about you, your costume, your time in the Legion or TFE Detachment? Heidi: I started out at the Pathfinder detachment with a biker scout as my first costume in March 2013, but soon I found my way to TFE. I've been a costume mentor since late 2013 and it is my favorit detachment - here are a lot of awesome members, who are fun and ready to help out if in need. Besides TFE I'm also a tie reserve at JRS, a bridge crew at IOC and a gunner at the IGC. I've retired my biker scout, a tie pilot ANH and Darth Traya. I'm a dual member in RL with Visas Marr, and I've made a Tusken ANH, which I've retired now. I'm also making costumes for others, and I´m making a lot of younglings costumes too, mostly for my own kids, since they grow so fast. Right now I've to finish my Padme dress for RL, it has been in the making for over 3 years now, so hoping to get that one done this year. I'm always searching for new costumes and parts and I really enjoy the whole process and hope to be able to keep going for many years to come. Zoomi: Thank you for your time Heidi! It's been great to get to know you! Heidi: Thanks for doing these Trooper spotlights, they are really fun to read! If you are interested in being interviewed for a future issue, you can email Zoomi at zoomi.scg@gmail.com. New forums = updated build thread with images! Woo! Comm-Tower Spotlights: June 2018 We’re pleased to introduce you to The Flagship Eclipse member SL-13525; otherwise known as Bobby Linn /Mitthrawnuruodo! Bobby is our TFE Member in the spotlight for this month’s Newsletter! He took some time to have a chat with Deb / Zoomi, our TFE HR Officer and Comm-Tower Administrator. Zoomi: Thanks for taking the time to chat with me Bobby! Let's get straight to it! What TFE Detachment Costume(s) do you have? Bobby: Currently just Darth Nihilus (COTF) Zoomi: Why did you choose this character? Bobby: I was always a fan of his look and lore. Zoomi: How long did it take you to complete your costume? Bobby: The majority of the costume I got second hand from another legion member. We (my wife and I) had to make some modifications to make it fit me, get some pieces up to standard, and finish anything that wasn't included. From the initial purchase to getting approved I would say it was a little over a month. Zoomi: What event did you debut this costume at? Bobby: Lexington Comic Con 2018, Lexington, KY Zoomi: What is your happiest memory in this costume? Bobby: You can always tell who's an EU fan when they recognize you and call you by the right name, usually with a "Wow!" It's always great when you don't get asked, "Who are you?" One highlight of recognition was a fan just happened to be playing the mobile game Star Wars: Galaxy of Heroes. He turned around, shocked to see me, then was excited to show me his game saying, "I have you at level 85!" On the opposite end of the spectrum, at the Pittsburgh Pirates Star Wars night a dad called me Mulan. ...can't win them all... Zoomi: What is your favourite ‘thing’ about this costume? (characteristics, banter, costume feature etc) Bobby: I love how comfy the costume is to wear. So much of it flows and makes for great photos. It's a perfect costume for silently sneaking up on fans, which I do a lot, that jump scare moment is great for a laugh. Zoomi: Any tips or advice you would give anyone looking to make this costume? Bobby: Same advice I give to everyone starting any 501st costume: start with the boots. A good pair of boots makes all the difference while you're trooping. And they usually tend to be more difficult to find. Once you do everything else seems much easier. Great part about the Nihilus boots are that they're black jack boots, which can be used for SO MANY other 501st and Rebel Legion costumes. Zoomi: If you could costume any other character from TFE, who would it be and why? Bobby: Darth Revan. Revan has always been one of my favorite Star Wars characters. 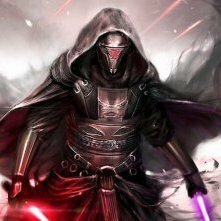 Like Nihilus, the look and the lore of Revan is just so awesome. Zoomi: And lastly; anything else you would like to add about you, your costume, your time in the Legion or TFE Detachment? Bobby: In addition to being The Lord of Hunger I'm a TIE Pilot (ANH, Reserve, and 181st Dress), Royal Guard (ROTS), Imperial Officer (Olive Drab, ISB, Science Officer, with Tarkin and others in the works), Bridge Crew, Bith Musician (first in the 501st), Imperial Gunner (currently the Detachment XO and world record holder for most troops done as a Gunner), and an animated Clone Trooper (Hardcase) almost complete. And with the Rebel Legion I'm an X-Wing Pilot (Wedge Antilles) and a Rebel Fleet Trooper. My wife (who has just as many costumes as I do, if not more) and I have been legion members for about 5 years now, we've had a lot of great adventures and I look forward to many more! If you are interested in being interviewed for a future issue, you can email Zoomi at Zoomi.scg@gmail.com. Comm-Tower Spotlights: May 2018 We’re pleased to introduce you to The Flagship Eclipse member SL-11907; otherwise known as Jeffrey Hebert / blindman 93! Jeffrey is our TFE Member in the spotlight for this month’s Newsletter! He took some time to have a chat with Deb / Zoomi, our TFE HR Officer and Comm-Tower Administrator. Zoomi: Thanks for taking the time to chat with me Jeffrey. To start off with, what TFE Detachment Costume do you have? Jeffrey: COTF Darth Nihilus, And I’m in the research phase of putting together a brand new CRL for the detachment based on the brief scenes in the second knights of the old republic game where Atrist turns to the Darkside towards the end of the game. Zoomi: Was COTF Darth Nihilus your first approved costume in the Legion? Jeffrey: Yes it was, I was approved on August 18th of 2016 in the South Texas Squad of Star Garrison. I am affectionately referred to as Darth Meow Meow by some of the members there. Zoomi: hahah! How on earth did you end up with that nickname?! Jeffrey: Nikki Powers, the imperial mad seamstress gave it to me for some reason. Apparently the hood corners remind her of cat ears Zoomi: And here I was imagining the Lord of Hunger meowing after people at a con because he needs feeding! Jeffrey: I do plan on getting some magnet cat and bunny ears for some fun photos. Zoomi: You are currently the only blind 501st Legion member. Have you always been visually impaired? Jeffrey: I was born with a congenital defect known as peters anomaly type 2, which left me with no vision at birth due to corneal issues. I had several operations as an infant that corrected my vision to a usable level, but lost the vision in my left eye due to a retinal detachment when i was a year old. I kept the vision in my right eye at a functional level with surgery and glasses allowing me to walk around without a can and play video games. Unfortunately in march of 2015 i had an operation to correct my vision once again, but after about 5 months the retina in my right eye had partially detached due to stress on it. I now have what’s known as light perception only, which basically means i can see whether a light is on or off directly in front of me, but not what or where it’s coming from. The best way to imagine what I’m seeing is to think of two tinted panes of glass, the outer one being frosted, with static flowing between the two with occasional globs of lava lamp like light bubbles moving around. Zoomi: So how did you come across the 501st Legion? Jeffrey: I actually came across it by accident, I was randomly browsing the podcast section of iTunes and found the 501st cast run by Nicky Blum. I started listening and fell in love with the idea. When I lost my vision, I lost the large community of gaming friends that I had, so I was feeling pretty isolated, but then I joined the Imperial Academy page for Star Garrison and explained my situation to people there. I was welcomed with open arms and whenever I thought of a reason why I might not be able to do something a guy named Brandon Crisman came up with a reason I could. I wouldn’t be here now if it weren’t for him and the welcoming nature of Star Garrison. Zoomi: Had you played Knights of the Old Republic II previously? Was that how you ended up choosing Darth Nihlius to costume? Jeffrey: Oh god yes, so many times it’s not even funny. I have it memorized at this point. I’ll even join twitch streams of people playing the game and give them pointers. It’s pretty entertaining when I then tell them i’m blind. And actually, Nihilus wasn’t my first choice, but I wanted to join quicker, and this costume happened to be put up for sale by another member right as I was looking into putting one together myself, so I snatched it up quickly. I’ve made several modifications since then for comfort and quality upgrades. Zoomi: What was your first choice? Jeffrey: Return of the jedi royal guard actually, I figured I could use the force pike as a makeshift cane, but then realized after talking to someone that had one that i wouldn’t be able to hear a thing, and with my eyes out of commision, hearing is pretty important. I saw an interview that the Green Mountain Squad up here in Vermont did with a few members, and while the presenter was going down the line for people to say what costume they were wearing, everyone answered normally until he got to the royal guard, who you can then hear yelling in his helmet to be heard. Thought it was rather funny. Zoomi: What is your favourite memory in costume? Jeffrey: Oh man, it’s a toss up between my first troop, where a little boys mom came into our dressing room looking specifically for me because her son wanted a picture, and i had already taken off my hood and gloves, so i quickly threw them back on and was grinning like an idiot under the mask. And the Legion photo at celebration surrounded by slmost a thousand troopers chanting 5-0-1 at the top of their lungs. We also did an event last spring in Houston for special needs kids, a little girl with autism saw me in my SL and thought it was the coolest thing in the world, she gave me her little fairy wand with a flower on it and I tucked it into my belt to wear the rest of the troop, I still have it sitting on my shelf with the rest of my Star Wars collectibles. Zoomi: Any tips or tricks for anyone who is thinking about making this costume? Jeffrey: Suspenders, suspenders suspenders. I had a nightmare trying to keep my skirts from falling down when i first got it. I now have an elastic band looped through where a belt would normally go to hold them up, and sewn together in the back. I then added nylon straps with buckles that go over my shoulders and cross over my back to stop the skirts from falling and keeping them level in the front and back. And even after two years of having this costume, i’m still looking for ways to improve it. I always carry my saber, but I also hold onto the shoulder of another trooper to keep up, I’ve found in a pinch, lightsabers make excellent canes. Zoomi: I don't think any costume is truly complete - the more you wear it, the more you need to fix or adjust it, or rebuild! What advice would you have for anyone who is thinking about getting into costuming, but is worried about how to get started? Jeffrey: Research research research, and ask questions, there are always people that are willing to help you along. The hardest part is picking which one you want to build. Zoomi: If you could costume any other TFE character - who would it be? Jeffrey: So. Many. Choices! Top three would be Darth Malgus, Darth Malak, and the Dark Lord armor variant of Starkiller. Zoomi: Anything else you’d like to add about you / your costume? Jeffrey: Joining the legion has been by far one of the best experiences I’ve ever had. I’ve had some amazing opportunities thanks to this organization and the friends I’ve made. Getting to go to Orlando and meet so many new people and getting to meet a friend who I hadn’t spoken to since before I even learned about the Legion, and being invited to Peter Mayhews house for his 4th of July party are moments that I will never forget. Zoomi: We're lucky to have such passionate members such as yourself representing TFE and the Legion, Jeffrey. Jeffrey: I know some members get burned out on trooping, but for me, this will be something I do until i’m no longer physically able to, and even then, you’ll have to fight me to stop. I’m extremely proud of the work we do. And I’ve met people that I will have lifelong friendships with. The Old Republic and Expanded Universe have always and will always be my first love with Star Wars. In closing, LONG LIVE THE EMPIRE AND LONG LIVE THE FLAGSHIP ECLIPSE!! If you are interested in being interviewed for a future issue, you can email Zoomi at Zoomi.scg@gmail.com. Ooooh!! What paint do you use? She did a damn good job didn't she?! I'm keeping notes on Eleena as the jumpsuit is VERY similar to Darth Atroxa. I'm planning on using as much stretch fabrics as possible; I think between using a wetsuit material and sewing I should be able to create the armour; OR foam. Unsure which way I will go yet. But definitely aiming for flexible. RE: Makeup - alcohol based and applied with an airbrush is by far the best way - I do it already for my Maladi and I am able to get 8+ hours of wear without worrying about touchups. There are a lot of brands out there; best to try and source something locally though. Otherwise, fall back to Reel Creations as they provide international shipping. If you're able to find a knee-high boot that fits, you can modify them for the cuffs and a cover for the top of the foot. Best of luck!! Keep checking in as you start acquiring parts and building!! http://www.theflagshipeclipse.com/forums/index.php?/gallery/album/219-darth-maladi-build-thread/ ^ forgot the link!